132 Mungo Street, Pageland, SC 29728 (#3416210) :: Robert Greene Real Estate, Inc. 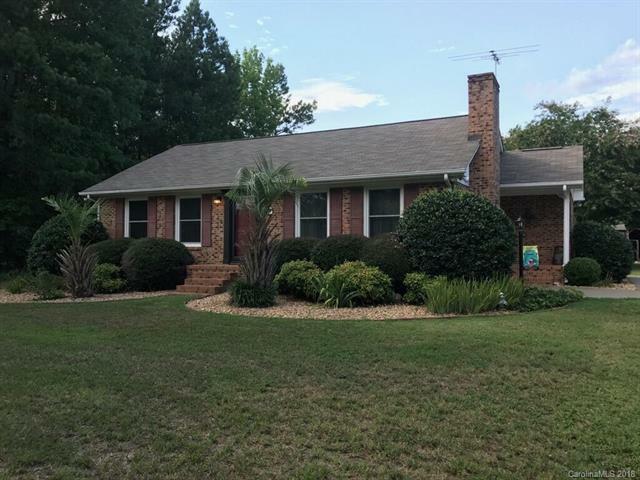 This beautiful Brick home is located in a great quite community, Shady Creek subdivision where home owners take pride in their property. There is no wasted space in the home or back yard. 2 bedrooms and 2 baths. Open floor plan. Large den with fireplace and built in bookshelves. Nice kitchen and dining area with work island. Many updates including a new roof in 2015. New heat pump 2013, 2010 new Sears windows and both bathrooms have been updated. Love entertaining your friends and family in your back yard. Unique covered back porch , patio and fire pit. 2 storage buildings, 1 with attached dog pen and run. Don't miss this one! Offered by Heartland Realty Llc. Copyright 2019 Carolina Multiple Listing Services. All rights reserved.